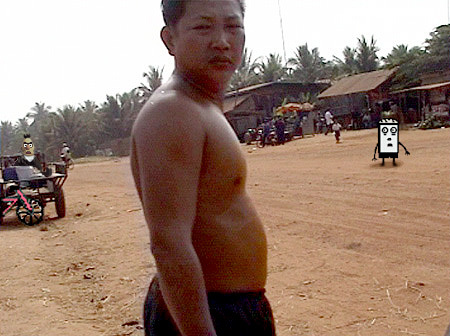 Cambodia is pretty much the Wild West of Southeast Asia, and you are gonna run into some odd balls. Some nice odd balls, some not so nice. There's a massive amount of illegal enterprise going on in drugs, prostitution, diamonds, guns, wood, money and anything else you can think of. That's what happens to a society when it's social infrastructure is removed, it seems. Scary people from Thailand, China and all parts of the globe, have moved in to take advantage of this loose state of affairs.